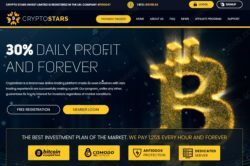 CryptoStars supposedly is an online investment platform that allows people with no knowledge about crypto trading to make big profits. You allegedly can make up to 30% daily on your investment, which means 900% monthly. Is it really possible? Crypto Stars is a Ponzi scheme and it is so obvious just by looking at the numbers. 900% monthly cannot be consistently done in any legitimate business. Period. Really, it is all you need to know, only Ponzi schemes show this kind of numbers. These scams take money and pay some profits with new deposits. And then they quickly fail because there is not enough deposits to cover the withdrawals. Some of these scams do not even start by paying, they just collect money and run away with it. 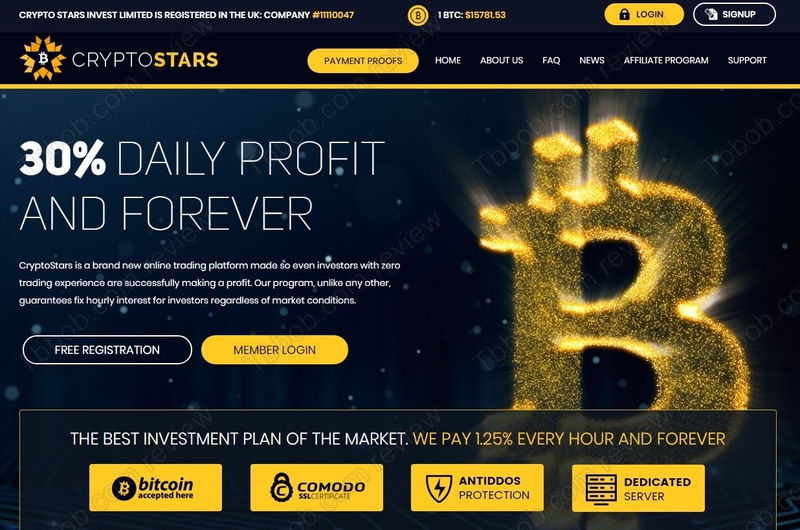 CryptoStars shows a tax registration in the UK, which is meant to make you believe that there is a real company behind this program. But as you can see, the registration is just a few weeks old, moreover almost anybody can get such a registration. You have to realize that investment services is a heavily regulated activity, which requires a license from the Financial Conduct Authority in the UK. But Crypto Stars is not registered with the FCA, see the proof on our image, so it is operating illegally. It is here just to make money to scammers who are running it. Because of the extremely high returns it offers, it will collapse very fast. Crypto Stars is a scam, a Ponzi scheme that is going to collapse extremely fast. So, stay away from it! If you want to see how crypto trading works and what profits are really possible, use a free demo account with regulated broker. You will see that it is possible to make money with cryptocurrencies, if you manage to build a profitable strategy, but certainly not 30% every day.